WHAT: There are so many toy lines that came out of the Masters of the Universe-spurred fantasy craze of the 1980s--many very obscure, but also very cool. 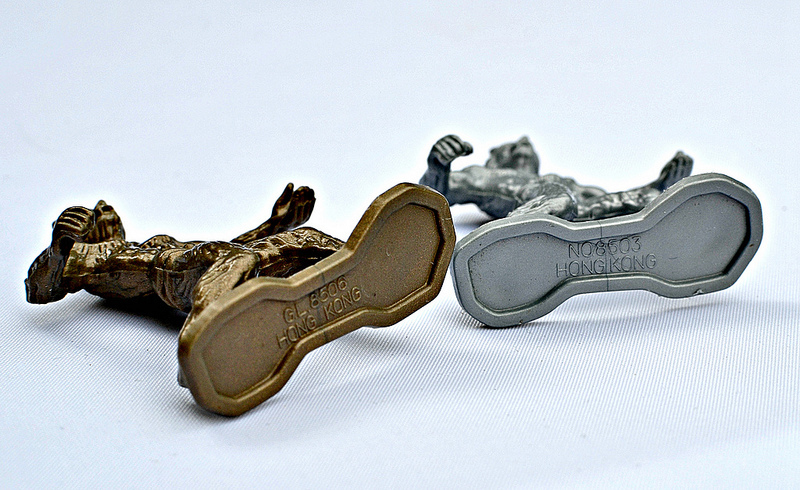 Marty Toys' "Warriors of the Galaxy" is a perfect example. 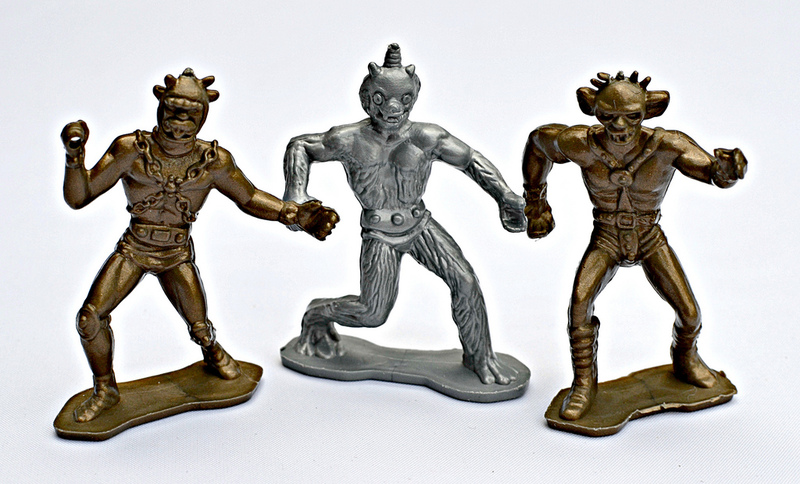 These toys are very similar to DFC's line of fantasy playsets from the era in that they consisted of playset pieces and a play mat along with various hard plastic mini figures, although they combine the MOTU-type fantasy style with an outer space element. If you visit this thread over at the Action Figure Archive forums, you can learn a lot of little details about Warriors of the Galaxy toys and see many photos of a boxed and unboxed playset, including vehicles, weapons and an electronic castle piece that came with the sets. I don't own a full playset, but I do own a few of the mini figures that came with it. At least I kind of do. From what I have read over at the LittleRubberGuys.com forums, there were many bootlegs of the original Marty Toy figures produced over the years, and I'm pretty sure what I have are some of those. In any case, the figures were made of either gold or silver/gray monochromatic hard plastic, featuring an assortment of both beastly and heroic characters that could be used to engage in space battle. As shown in the Action Figure Archives thread linked above, there were at least 10 different characters split into either "Golden Heroes" or "Galactic Demons." I really like how strange and crazy some of the creatures look. The figures I own have some markings underneath their bases as shown in the photo to the right. I also have slightly smaller day-glo green and day-glo orange knockoffs of two of the characters as shown in the second photo, which I remember getting in a toy vending machine in the mid-1990s. 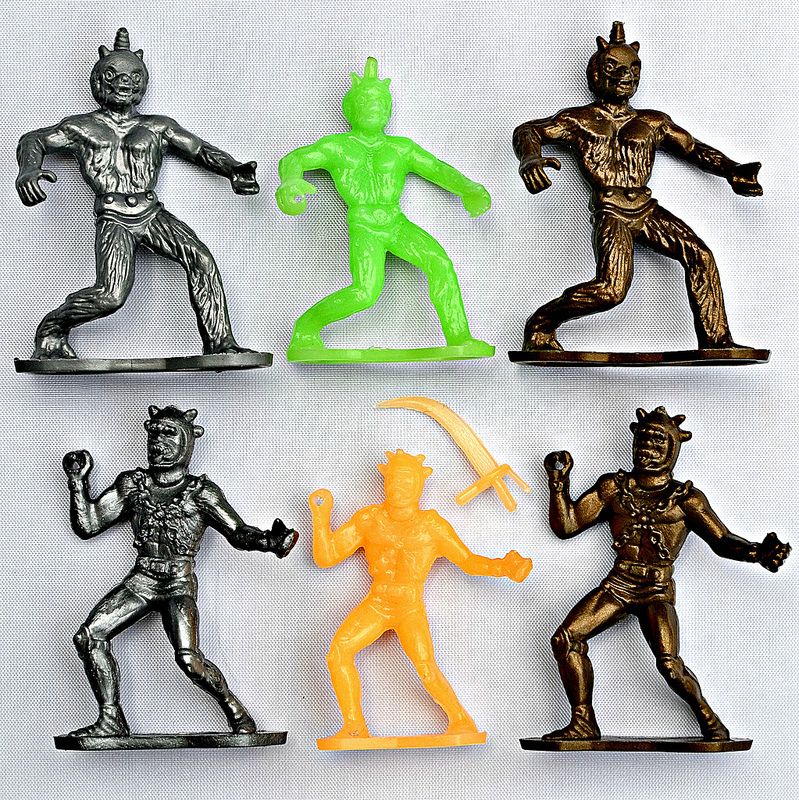 Warriors of the Galaxy is definitely a noteworthy piece of 1980s fantasy toy nostalgia, especially if you get into the really obscure stuff like I do. I'm hoping to add more of the figures to my collection soon. WHERE: Sold at least in the U.S., and possibly other countries. WHO: The original Warriors of the Galaxy figures/playsets were produced by Marty Toy, a company which I don't believe made it out of the '80s. 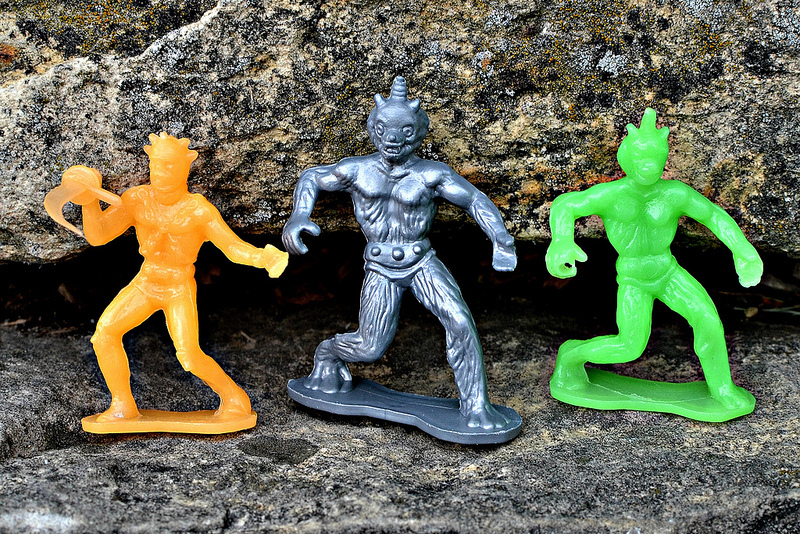 One of the other toy lines they produced is Outer Terrestrial Creatures, a set of weird-looking little alien bendables.